In a recent post we mentioned how Cartier has managed to have some very enduring distinctive case designs that have not only endured, but lended themselves to a seemingly infinite number of variations over a long time. The Santos, the subject of today’s post, is arguably one of the top contenders in this category. 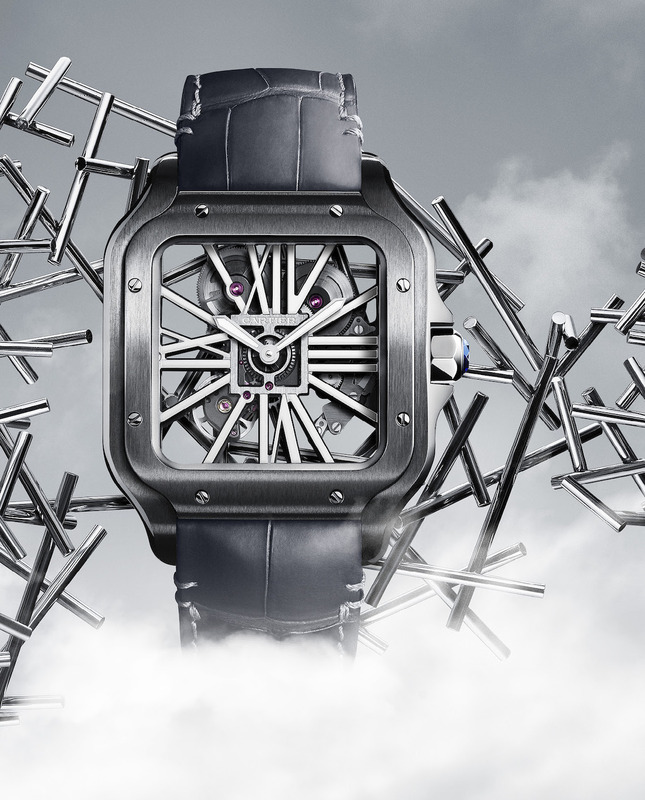 At this year’s SIHH Cartier have added to their more modernly-inclined Santos pieces with a skeletonised version that is bedecked with a lot of lume. The case itself is ADLC-treated stainless steel in a very accessible 39.8mm x 9.08mm size, and has sapphire crystals on both sides. As a skeletonised piece, the movement is the dial; in this instance it is the Calibre 9612 MC, beating at 28,800VPH and with a power reserve of three days. Its skeletonised bridges are the stylised Roman numerals, and this is where the fun comes. Yes there is nothing new in a Santos, and yes there is nothing new in putting Super-LumiNova on watch hands or markers or numerals, but the use of this luminescent coating on the large exaggerated numbers on an open-worked watch and seeing it all lit up is really just about it being fun.